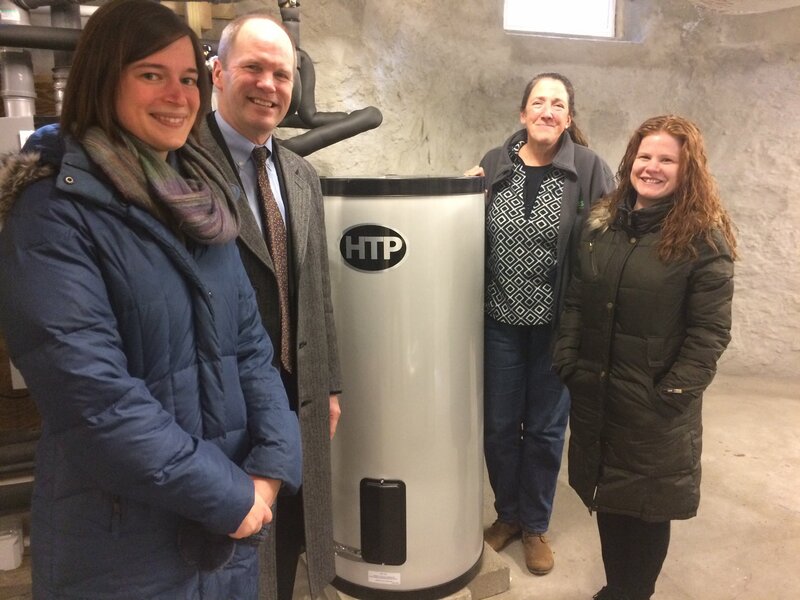 Our friends at the Massachusetts Clean Energy Center recently visited a solar hot water project that they funded at the Pine Street Inn permanent housing facility. While taking a look around they noticed an HTP SSU Indirect Tank installed! How great is that? The SSU Indirect Tank is a culmination of over 30 years of indirect system manufacturing experience. The 316L stainless steel tank resists corrosion and eliminates the need for anode rods, allowing for the system to be virtually maintenance free. The heater draws energy from a boiler and thus does not need its own heat source. Hot boiler water flows through an internal heat exchanger in the tank, heating the domestic water. The SuperStor boasts three to five times more recovery than conventional gas-fired or electric water heaters.